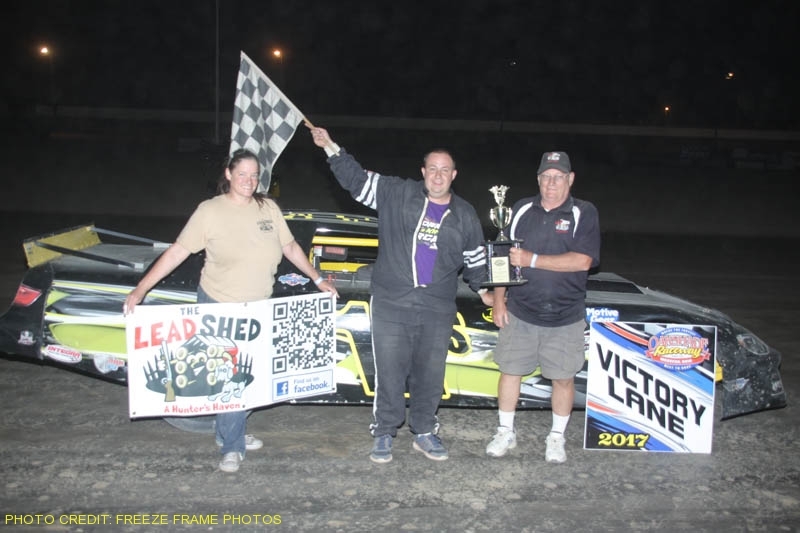 Rusty Schlenk picked up his fourth Oakshade Raceway feature win this season and Devin Shiels was crowned champion of the first ever Oakshade/Attica Late Model Challenge Series (OALMCS) on Lead Shed Night at Oakshade Raceway. 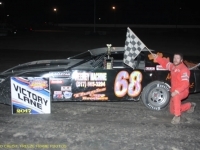 Rusty Schlenk started on the outside of the front row of the 25-lap Lead Shed UMP Late Model feature event, which was also the final race of the OALMCS. Schlenk grabbed the lead early over pole-sitter Hillard Miller. 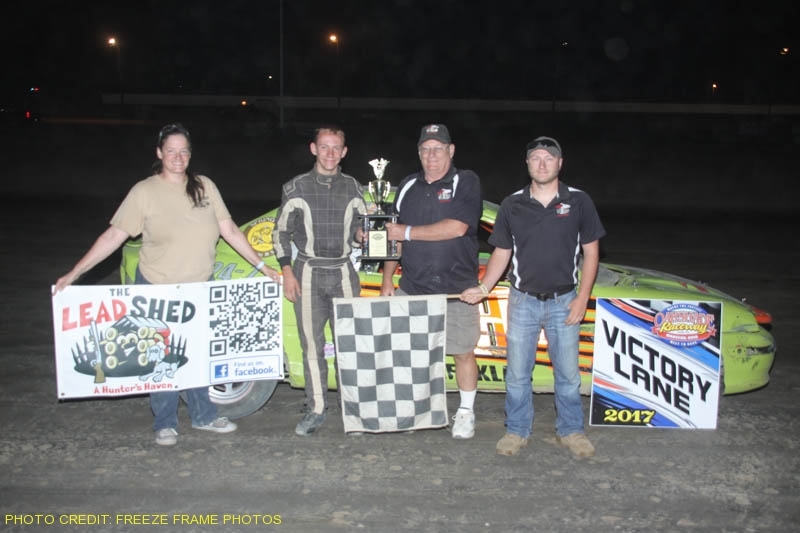 The race ran green from start to finish with no caution flags which hindered Casey Noonan and Stever Kester efforts in trying to pursue Schlenk through heavy lapped traffic. 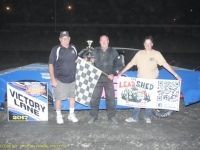 Schlenk, from McClure, Ohio, was able knife his way though that traffic with out much trouble to pick up the checkered flag. Noonan had a bit of a rougher go trying to navigate the lapped cars, having to make some three-wide passes to try to keep up with Schlenk while at the same time trying to keep Kester behind him late in the race. Noonan was able to fend off Kester for second at the finish with Devin Shiels finishing fourth after starting 14th. 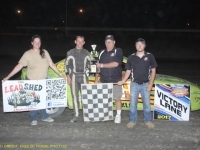 Shiels entered the final OALMCS night of competition with a 23-point advantage over Ryan Missler after winning the previous night at Attica Raceway Park. 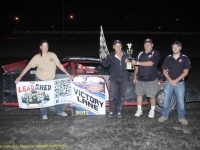 His fourth place finish was enough to make Shiels the first ever OALMCS champion which netted him $1,200. 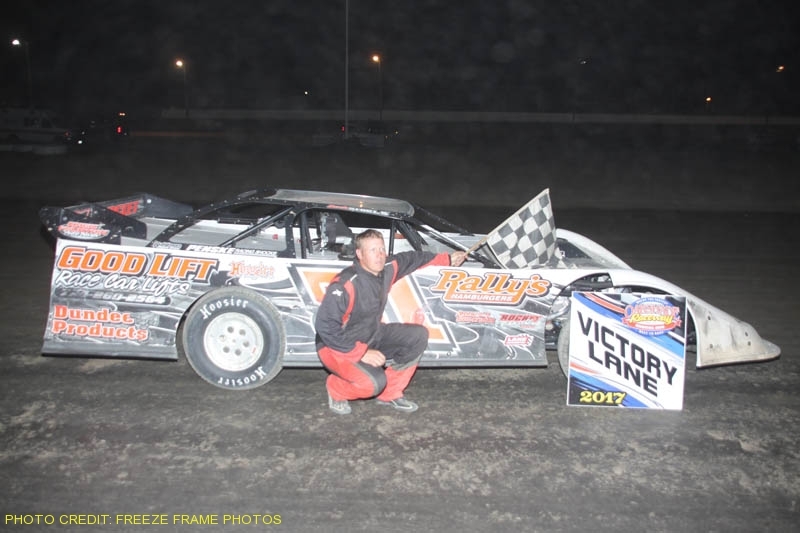 Shiels continues to lead UMP Late Model points at Oakshade with a 109-point cushion over second place Kester. 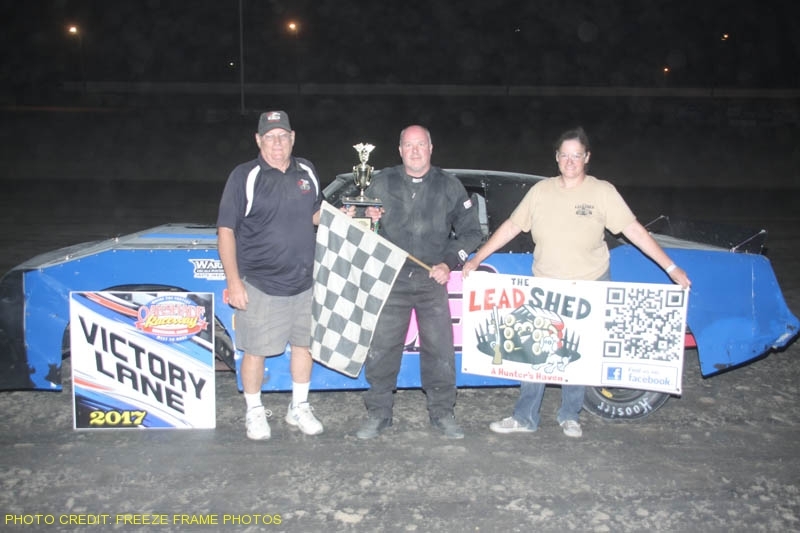 Oakshade UMP Sportsman point leader Rusty Smith jumped out to the early lead in the Lead Shed UMP Sportsman feature after starting on the outside of row two. Smith looked to have the car to beat in the 20-lap feature, but his car quickly slowed while leading coming off turn four to complete lap 14. He pulled off the track into the infield and watched the rest of the race from there. Veteran driver George Lindsey out of Adrian, Michigan, suddenly found himself as the leader with Mike Jessen battling hard just behind him. 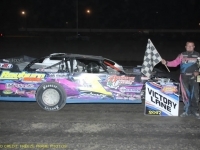 Lindsey was able to hold off Jessen and picked up his first feature win of the season. Drew Smith started deep in the field and ended up with a respectable third place finish. Brandon Moore and Bruce Stuart were the rest of the top five finishers. 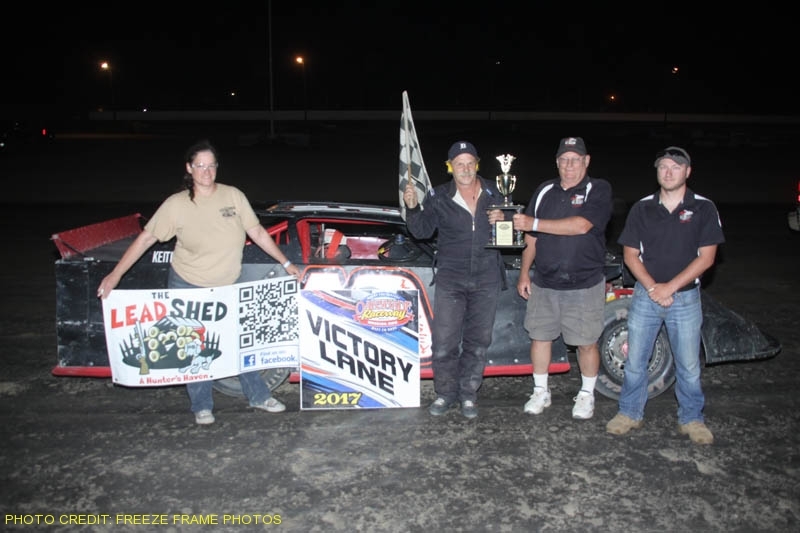 Gregg DeTray took the lead at the start of the Lead Shed Bomber A Main after starting on the outside of the front row. Terry Rushlow’s top five run ended up in flames which brought out the red flag on lap four. Craig Dippman tried battling for the lead and ended up spinning which took him out of contention as well. Late in the race, Chris Henry from Jackson, Michigan, was able to get by DeTray for the lead. DeTray then battled with Tim Hancock to try to hang on to second. Henry went on to take the checkered flag with Hancock finishing second ahead of DeTray. William Cundick and Jeff Foks Jr. rounded out the rest of the top five finishers. Hancock now holds a slim 6-point advantage in the point standings over defending champion Jeff Foks Jr.
After a couple of first lap crashes in the Lead Shed Compact A Main, things finally got started with Carter Murday and Jason Deshler leading the field from the front row. Waldron, Michigan’s Brogan Rehklau would be the spoiler, starting inside the second row. Rehklau, winner of the last four feature races, was able to take the lead leaving Murday and Deshler to battle for second. In the end, Rehklau was able to hold off Murday for his fifth consecutive feature win and he has now closed up a to within 37 points of point leader Jason Deshler. It is a tight points battle that also includes Jeff Foks Sr. who is second, 20 points behind Deshler. Foks posted a third place finish in the feature behind Murday with Deshler slipping back to finish fourth. Cameron Tusing finished fifth. Adrian, Michigan’s Cody Stetten started on the pole of the Lead Shed Bomber B Main and led the entire distance to pick up his first feature win of the year, but Ryan Gorey and Dylan Burt made him earn it. A few cautions kept the field tight and Stetten was able to fend off challenges from Gorey. Burt was able to get by Gorey for a second place finish. Roscoe Stetten was fourth followed by Dave “Gumby” Golembiewski. Shane Estes and Ryder Price put on a pretty good battle out front in the final race of the night, the Lead Bomber C Main. 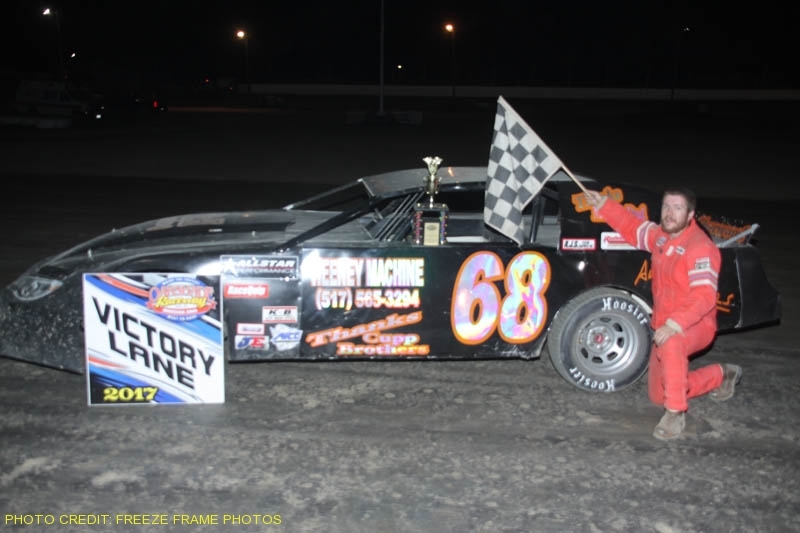 Estes from Waterville, Ohio was able to get the advantage over Price and went on to pick up his first feature win. Finishing behind second place Price was Dustin Willier, Robert Meinen Jr. and Abby Burton. 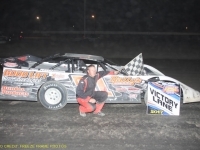 In addition to a full racing program of UMP Late Models, UMP Sportsman, Bombers and Compacts on Saturday, August 5, Oakshade Raceway will also host the Tom Elling Memorial Australian Pursuit races for the top 10 in points in each class. Gates open at 4pm, hot laps at 6pm and racing begins promptly at 7pm. 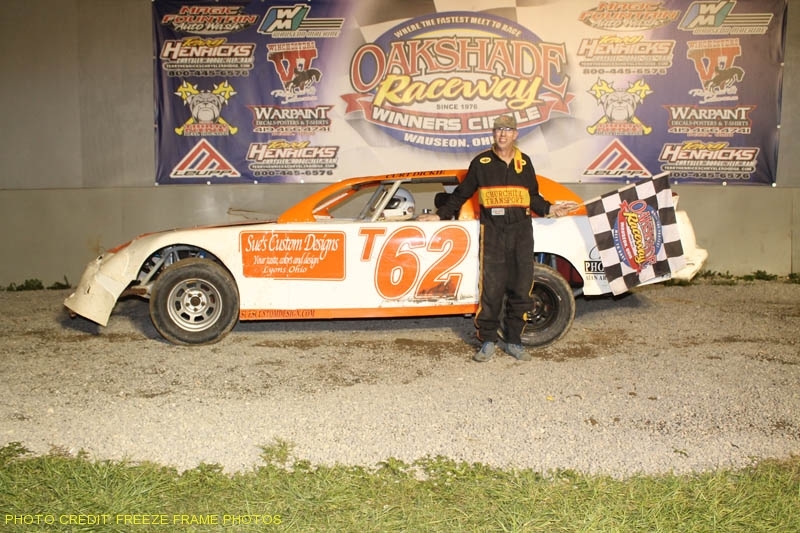 With all of the rain outs for the Oakshade/Attica Late Model Challenge Series this season, both tracks have added an additional weekend of competition. This weekend the series will race at Attica Raceway Park on Friday night and then crown the champion Saturday night at Oakshade Raceway. 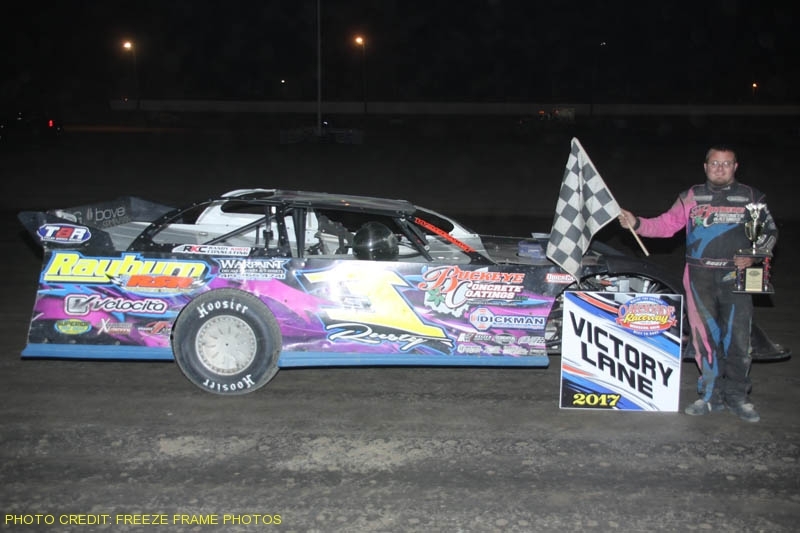 Rusty Schlenk carries a 10-point advantage over Devin Shiels with Ryan Missler 28 points in arrears in the series point standings heading into this final weekend. On the line is $1,200 going to the series champion. Second in points will receive $700 and third will get $500. Summit Racing Equipment of Talmadge, Ohio will also reward each of the drivers in the top 10 with a $100 gift card. Feature winners of each event will also receive a free right rear Hoosier tire and drivers will earn $200 just to start the main events. Gates open at 5pm with racing at 7:45pm Friday night at Attica and then the action moves to Oakshade on Saturday night with gates opening at 4pm and racing at 7pm. 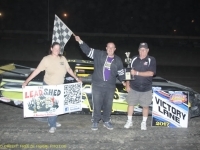 The Oakshade/Attica Late Model Challenge Series race at Oakshade from this past weekend has been rescheduled and will now be part of this coming weekend’s Lead Shed Night on Saturday, July 29 as part of a full racing program of UMP Late Models, UMP Sportsman, Bombers and Compacts. Also added to the schedule is the Tom Elling Memorial Australian Pursuits on Satuday, August 5th. Gates open at 4pm, hot laps at 6pm and racing starts at 7pm sharp for each of these shows!